Want to cook some ears of corn with my chicken tonight. Any suggestions how to do it? (1) If you don't like a lot of blackening on your corn: shuck 'em, butter, salt, and pepper 'em, wrap 'em in a moistened paper towel, and wrap 'em in foil. Tends to steam the ears rather than grill them. (2) Another way - and this is the way to do it if you like a little more color on the ears - is to peel back the husk, remove the silk, butter/salt/pepper, replace the husk, and cook them that way. If you've got a multi-level system, I'd put the ears on a level above the chicken. I shuck the cobs and then rub them in EVO, sprinkle S&P and some Lawreys Season Salt on them. Wrap in AF and put them on the EGG at 400, raised grill. Turn them a few times during a 30-40 minute cook. They come out tender and juicy. I do them a couple of different ways. Sous Vide husked with salt, pepper, and a small piece of butter at 182 degrees for an hour or hour and a half and then finish them up on the egg at about 400 degrees until each side is darkened a bit. I also have husked them, salt, peppered, buttered, and then wrapped in foil and grilled about 7 minutes per side at about 400 degrees. How long soak, indirect or direct and at what temp? Thanks! I soak them and then drop them directly in the grill. Turn them as the husk darkens. When it starts to look burned they're done and you can shuck them. The silk comes off easy when they're done like that. Have a condiment bar for fixing. Butter, salt, pepper, lawrys, Tony's, dizzy dust, swamp venom, mayo, Parmesan, chili powder, lime. Flavor to taste. I don't cook corn any other way now. Shuck, clean, Evo, dizzy dust, tie the shuck back on and turn till a toothpick will decide. I go indirect. I have a family of very particular corn eaters, and I have won then over twice with early season corn done by husking to remove the silk and some leaves, but keep most of the leaves attached. Brush on evoo, and dust with koshar salt. Then use butcher string and tie leaves back around the corn. Cook raised direct between 300 and 400 for aprox 40 minutes. 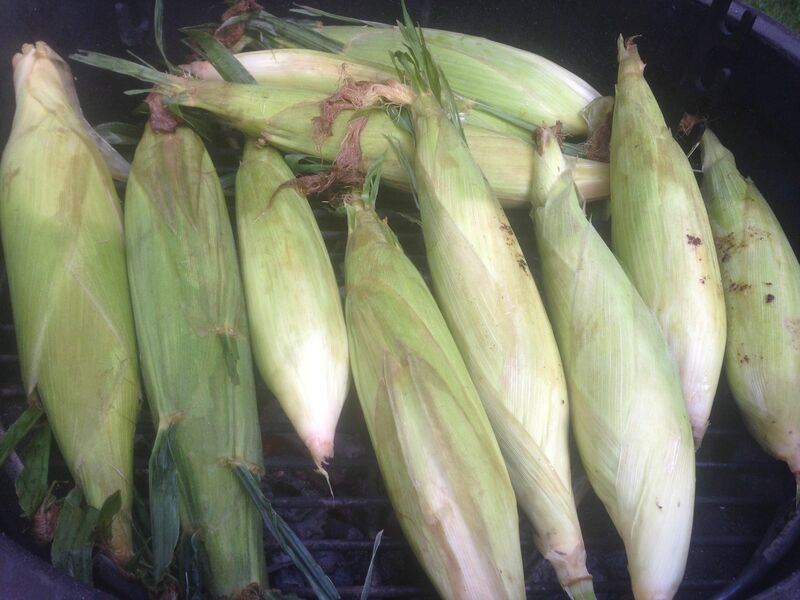 Throw them on husked and naked direct until some kernels pop and you have a nice roasted color. Then brush with a butter lime cayne pepper, paprika and salt mixture a few minutes before taking them off and after you take them off. I soak them and then drop them directly in the grill. Turn them as the husk darkens. When it starts to look burned they're done and you can shuck them. The silk comes off easy when they're done like that. Have a condiment bar for fixing. Butter, salt, pepper, lawrys, Tony's, dizzy dust, swamp venom, mayo, Parmesan, chili powder, lime. Flavor to taste. I don't cook corn any other way now. +1 except I don't even soak them. Throw them on just like they are. After cooking, when ready to husk, slice off the bigger end (away from the silk) Hold the skinny end (may need a pot holder) and squeeze the ear out. It will come out clean with no silk. Season and eat. +1 as Tjcoley. Very easy. I'm a fan of either butter and chili powder or butter and Old Bay. I also wrap them in foil to cook. I husk and desilk, don't soak, just throw them in raised direct and remove when they have some color; I don't add anything until they're on the table. I do want to try Tjcoley's method, however! I followed this recipe last weekend....and it was incredible!! 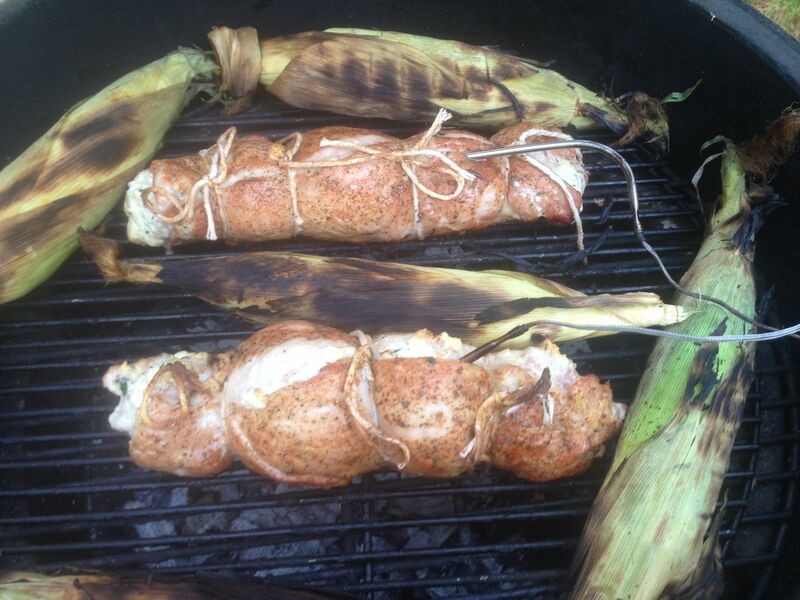 Corn in a butter baste!!! @cheech5001: looks amazing! definitely trying that next time. I agree. Corn cooked with only a wet schuck for flavor then buttered after its cooked is the only way to go. For sure you should- it was really the star of the meal! I cooked some corn yesterday. Had them soak a couple hours, peeled back husk, removed silk and then did my seasoning. Seasoning consisted of coating corn in Hellman's Mayo, then applying my concocted seasonings blend (salt, pepper, garlic powder, chili powder). I cooked indirect at 300* for about 45-50 min, even time on each side. Turned out great! THe mayo is something my dad started doing a few years back.....while strange to think about it turns out great.